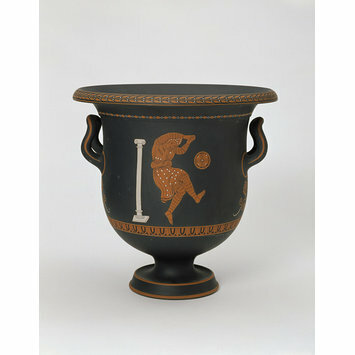 Vase of black basalt, with 'encaustic' painting in red, white and black. Made in imitation of a Greek bell-shaped crater of the fourth century B.C. 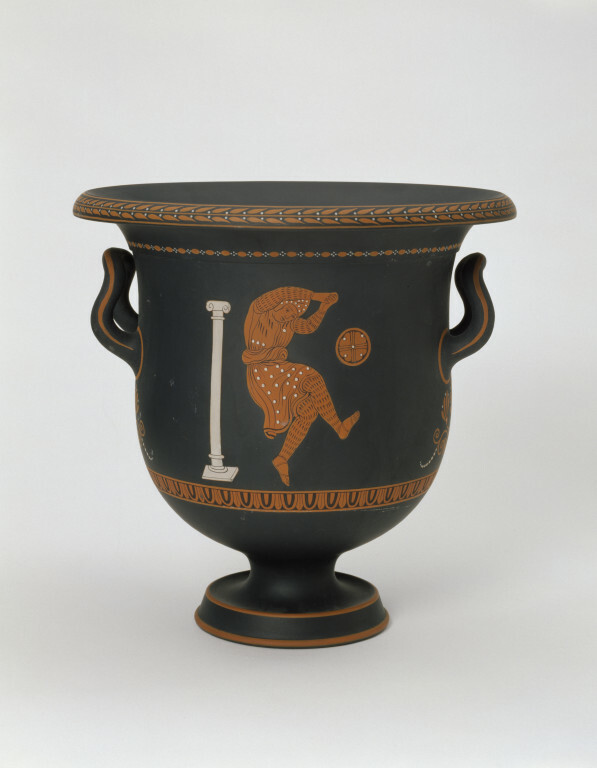 Decorated with a figure of an actor dancing beside a column and with bands of conventional ornament. D'Hancarville, Pierre Antiquités étrusques, grecques et romaines Paris, 1787, Vol. 1, pl. 59. A late eighteenth century design.